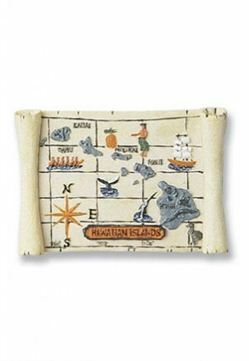 Share a bit of Hawaii with friends and family with our Map Magnet. Perfect as a souvenir this Hawaiian magnet is a decorative keepsake for your refrigerator door or file cabinet. Made of polyresin.